For decades, Saudi Arabia had a very low-key profile in international affairs, and limited its foreign involvement to the Middle East. This approach was frustrating for many countries, especially for the United States. Former Secretary of State James Baker, once said of the Saudis’ lack of diplomatic talent that ‘‘these guys could f*** up a two-car funeral’’. However, in recent years, Saudi foreign policy has taken a dramatic shift, with the Saudis positioning themselves as the leader of the Sunni alliance in the Middle East, against Shiite Iran. The dominant faith in Saudi Arabia is Wahhabism, an ultra-conservative form of Islam that advocates a return to original practices of Islam. It is estimated that the Saudi government has invested more than $10 billion to replace mainstream Islam with Wahhabism in the country over the years. Wahhabists also believe that all Muslims who do not follow Wahhabism are the enemy, which is part of the reason for Saudi’s hostile relationship with Iran, a Shiite theocracy While the ‘cold war’ between both countries has ebbed and flowed since the Iranian Revolution in 1979, the Arab Spring intensified the strategic competition for regional hegemony between both countries. As regimes fell, Saudi feared Iran-backed groups would take over. In response, they sent troops in Bahrain, promised billions in aid to Jordan, Yemen, and Egypt, and funded and armed Sunni Islamists in Syria. By doing so, they cemented their position as the Sunni leader in the Middle East. Last month, eleven princes and around 40 government officials were either arrested or ousted in an anti-corruption purge orchestrated by Crown Prince Mohammed bin Salman. Salman, who was already defence minister, minister of state and head of the Council for Economic and Development Affairs, has now consolidated most of the power in Saudi Arabia in his hands. Given that he sees Saudi Arabia ‘‘as the absolute leader in the Middle East’’, Salman is expected to continue and intensify Saudi’s aggressive foreign policy, in order to maintain the kingdom’s role as a powerhouse in the region. Since the Arab Spring, both Iran and Saudi have indulged in proxy wars across the region to achieve their strategic interests. But in the recent past, under Salman’s leadership, Saudi’s foreign policy has become more directly confrontational vis-a-vis Iran. Saudi is now using more direct means to counter Iran’s influence in the region than before. Yemen was one of the first countries where Saudi Arabia demonstrated its new and more aggressive foreign policy. In 2015, Houthi rebels took over the government. This alarmed the Saudis, as the Houthis are Shia group that are suspected to be backed by Iran. In response, Saudi Arabia formed a coalition with its GCC+1 allies to restore Abdrabbuh Mansour Hadi to power by carrying out an air campaign and imposing a blockade on Yemen. The war between the rebels and the pro-government forces, which has killed more than 8,600 people, is still on-going and all attempts at peace talks have failed. Last month, Yemeni rebels launched two ballistic missiles at Saudi Arabia: one targeting an airport on November 5th, and the other the city of Khamis Mushait on November 30th. Both missiles were intercepted before they could do any damage. But this alarmed the top leadership in the Saudi kingdom. Saudi Arabia was quick to respond, and blamed the missile launches on Iran, saying they could be “considered as an act of war”, despite the fact that the missiles were launched by Yemeni rebels, and not the Iranians themselves. Saudi’s immediate response illustrates its vision of the Yemeni conflict as an opportunity to impose its influence over a Gulf country under the pretext of a belligerent Iran. While the proxy war in Yemen continues, the country and its populace descend deeper into chaos and ruin. Saudi Arabia has also been using a different approach towards the Israeli-Palestinian conflict. Since the establishment of the state of Israel, Saudi had steadily been an ally of Palestine and has denounced Israeli occupation of Palestinian lands. However, in the last few months, it seems as if Saudi Arabia has benefitted from forging closer ties with Israel. The rationale behind increasing cooperation between once staunch enemies is rather simple: both countries share a common enemy in Iran. To date, there have been no announcements by the two countries and the official Saudi position remains that Israel has to abide by the 1967 Green Line. However, many Israeli media outlets s, including The Jerusalem Post, claim that Saudi Crown Prince Mohammed bin Salman is looking to normalize ties with the Israel., Additionally, some Israeli government officials have gone on record to talk about the rapprochements. While the Saudi Foreign Minister Adel al-Jubeir denies any relationship with Israel, it would make sense for the kingdom to cosy up to Israel, in order to counter Shiite influence in the Middle East. If the two countries make an official announcement, it could have dramatic repercussions for the region. Hypothetically, it could compel other Arab countries to also normalize ties with Israel, given that Saudi is seen as the leader of Sunni states. It could eventually lead to an agreement between Israel and Palestine, because Saudi has always demanded a withdrawal by Israel from the territories it has occupied post-1967 war in return for diplomatic relations. But beyond such optimism, in the near future, this rapprochement could destabilize the balance of power between the Sunni and the Shiite blocks in the region. The kingdom’s willingness to end the status quo regarding Israel is meant to gain leverage against Iran, which is another example of Saudi’s more aggressive foreign policy. The climax of Saudi’s new aggressive foreign policy is the changing Saudi-Lebanon relationship. Lebanon is also split between Sunni and Shiite factions, and both Saudi and Iran have asserted varying levels of influence over the country over time. Since October 2016, the Lebanese government was led by Prime Minister Saad al-Hariri, a Saudi ally, in a coalition with Hezbollah, a prominent Shiite group backed by Iran. On November 3rd, Hariri arrived in Saudi Arabia, and resigned as the prime minister of Lebanon in a televised statement the next day. While Saudi officials deny forcing Hariri to resign, they likely exerted pressure on him to do so because he was not willing to confront Hezbollah directly, which is what Saudi wanted. After two weeks in exile, Hariri finally returned to Lebanon and agreed to suspend his resignation. Saudi has been extremely worried about Hezbollah’s growing political influence in Lebanon. Hezbollah evolved from an insurgent Shiite group to an official power holder in the federal government; an unfathomable and unacceptable development for the kingdom . But putting a head of another sovereign state under house arrest and compelling them to resign is also unprecedented. Saudi’s Lebanon policy is becoming more and more dangerous Forcing their ally to resign might allow Hezbollah to gain control of the entire government. If Hezbollah takes over completely, it risks more international economic sanctions. Even before Hariri’s resignation, the U.S House of Representatives voted recently to impose three new sets of sanctions on Hezbollah. Other countries that currently have sanctions on Lebanon include Canada and the United Kingdom. Saudi hopes to isolate Hezbollah in Lebanon and weaken the group and their key ally, Iran. However, while the resignation is advantageous from a Saudi perspective, it might have devastating economic and political consequences for Lebanon, potentially leading to another era of violent sectarianism in the country. Similar to their strategy in Yemen, Saudi is using Lebanon to expand its control over the region. The move may help Saudi gain more power in the region, but it will likely be very damaging for Lebanon. 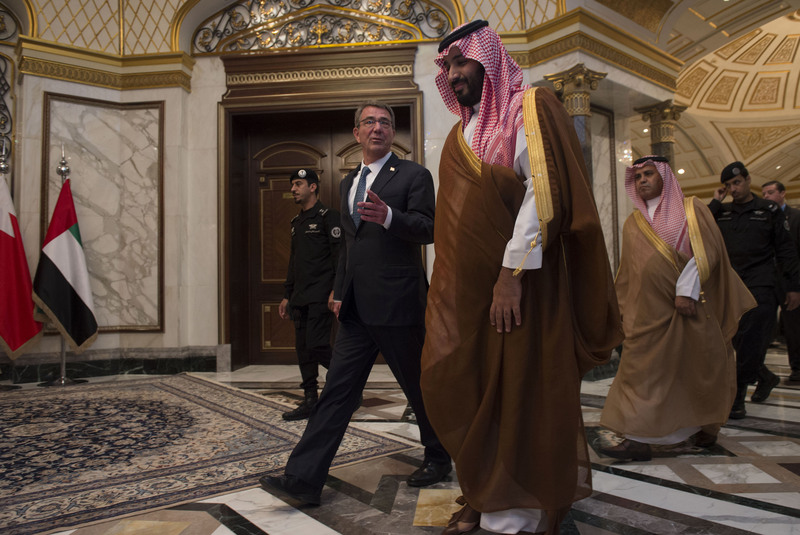 The last few months have further cemented Saudi Arabia’s importance in the Middle East. Despite no clear successes in Yemen, Israel and Lebanon, the country’s foreign policy posture continues to become more aggressive. Its goal of becoming the sole protector of Sunnism in the Middle East is having a serious destabilizing effect on the region. The war in Yemen is far from over, and the continuing proxy war by Saudi and Iran is not helping peace talks. Its potential new relationship with Israel would disturb both the balance of power in the region and the status quo that has been in place since 1967. And the forced resignation of Hariri will most likely destabilize Lebanon and isolate the country from the international community. Each move from Saudi seems to be aimed at countering Iran’s influence in the region. This pattern of foreign policy aggression is most likely to intensify in the foreseeable future. Ambiguous Hopes: What comes next for Zimbabwe?